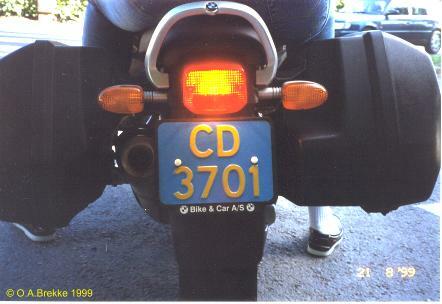 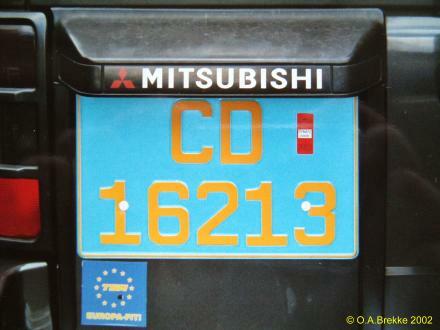 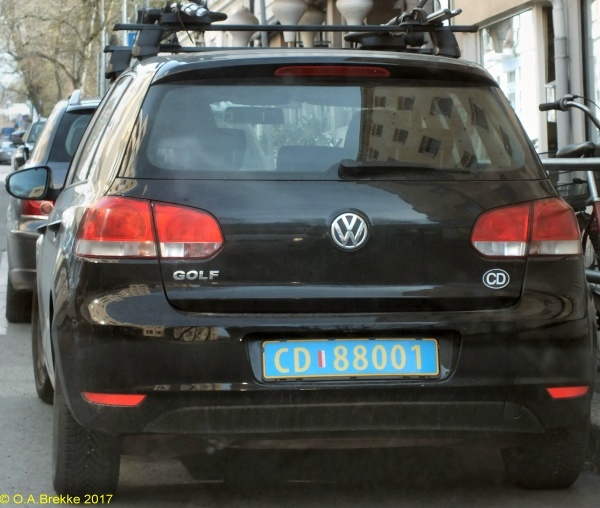 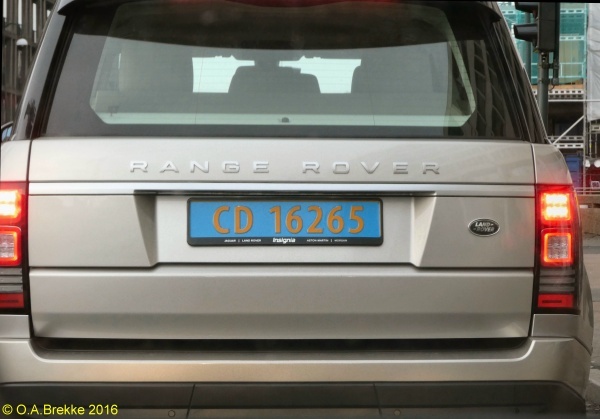 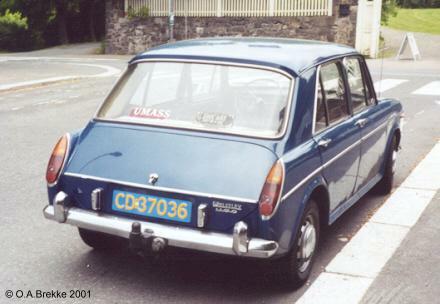 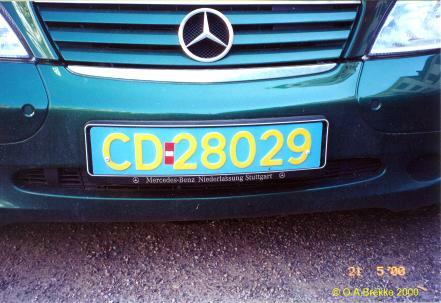 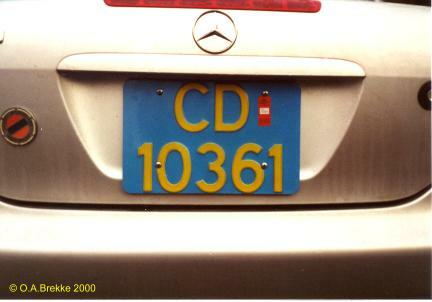 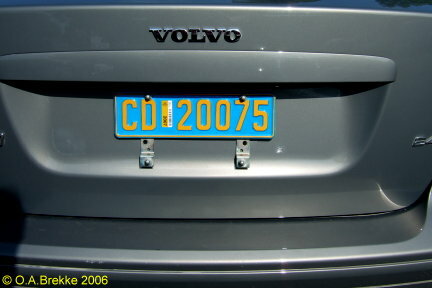 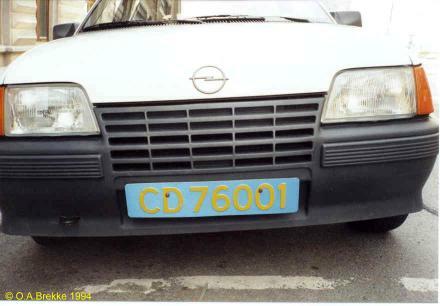 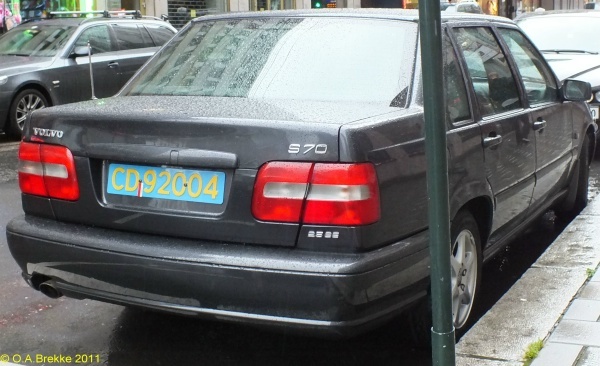 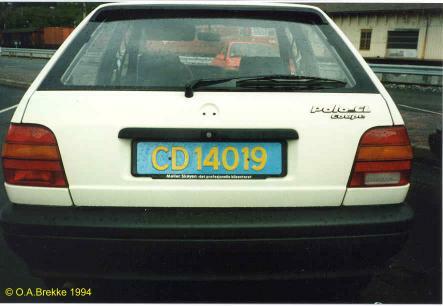 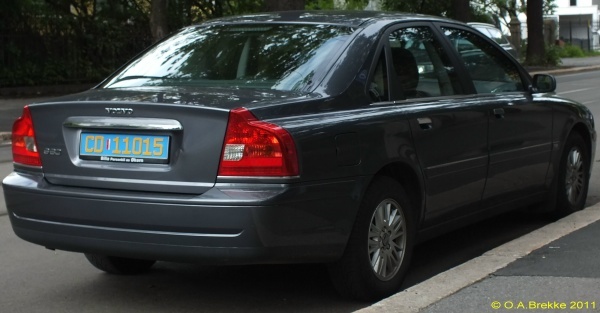 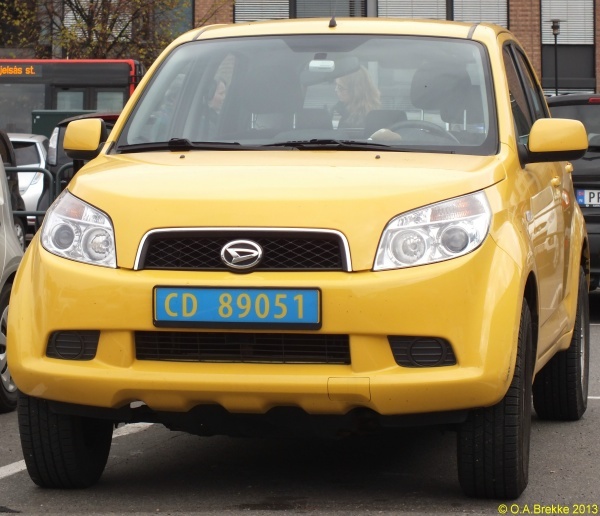 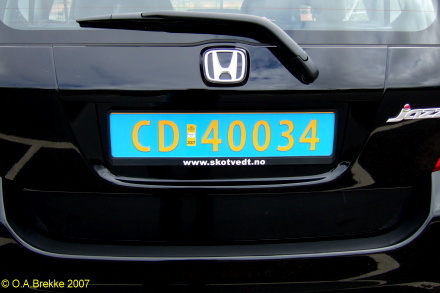 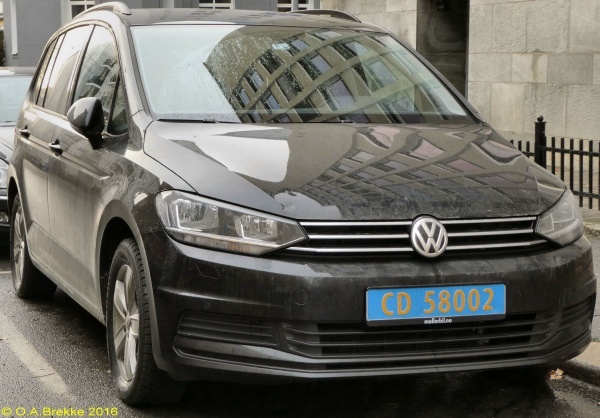 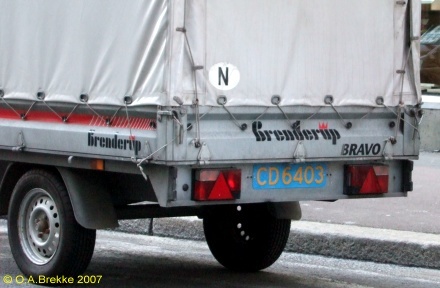 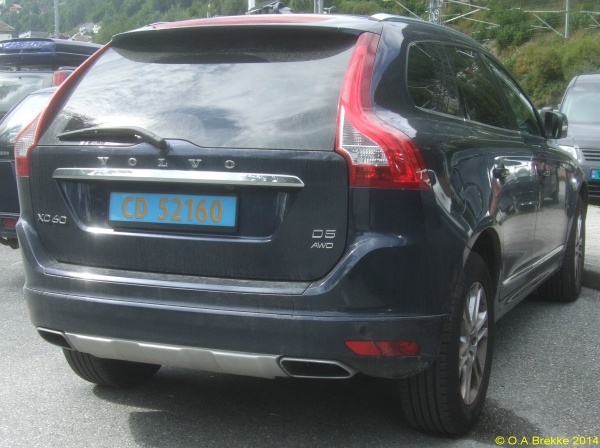 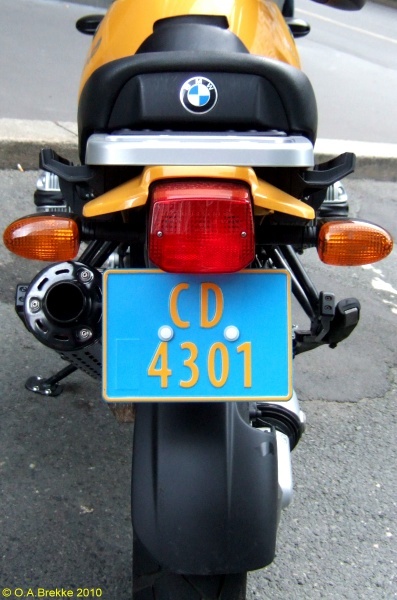 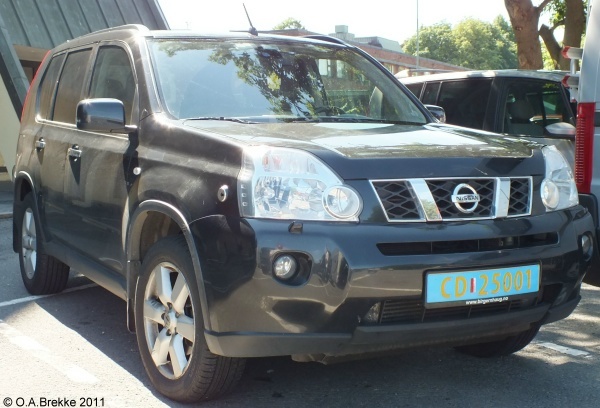 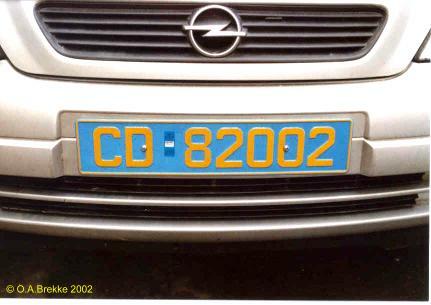 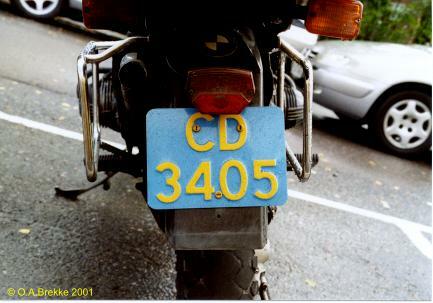 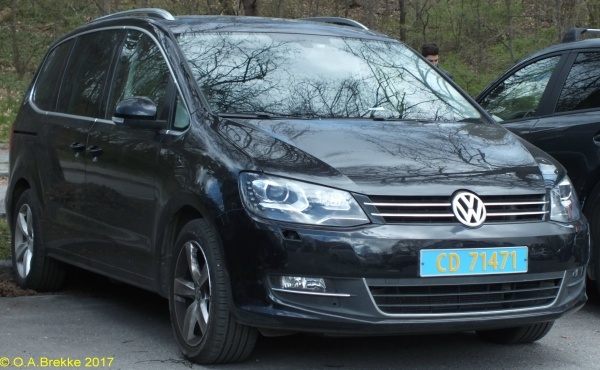 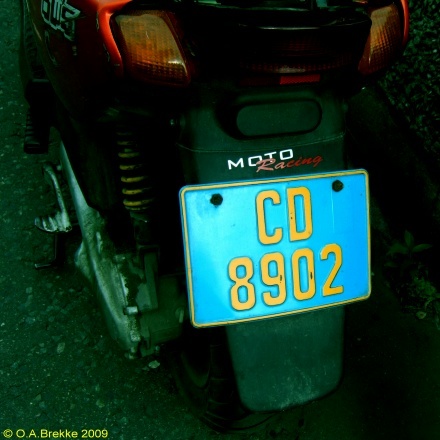 Vehicles of foreign diplomats in Norway have the letters CD (Corps Diplomatique) followed by four or five numerals in yellow on a reflective blue plate. 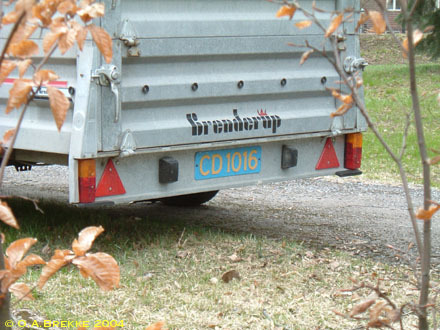 Four numerals for motorcycles, trailers, caravans and even tractors. 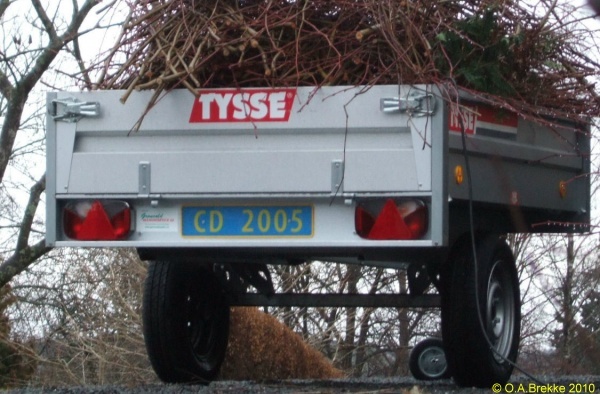 (The US embassy has a small tractor for use in their garden). 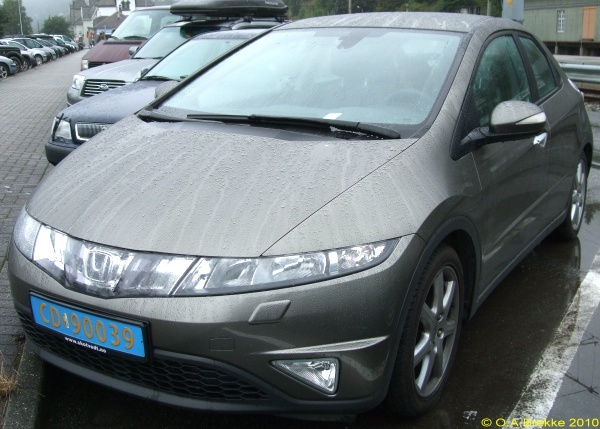 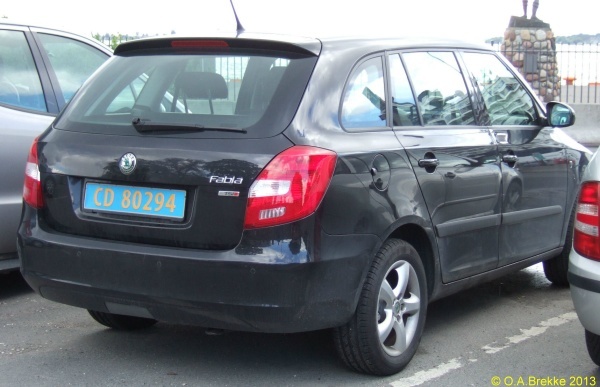 Five for cars, vans, buses, minibuses and lorries. 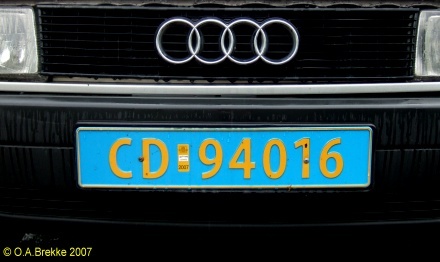 44 - Israel (Discontinued. 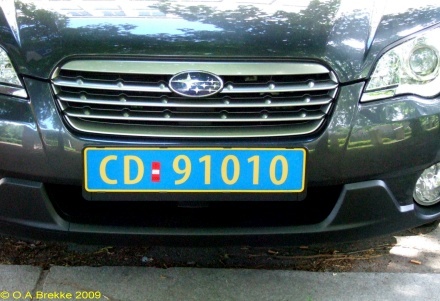 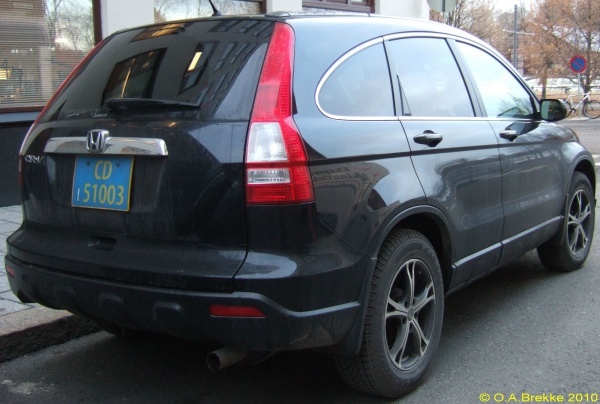 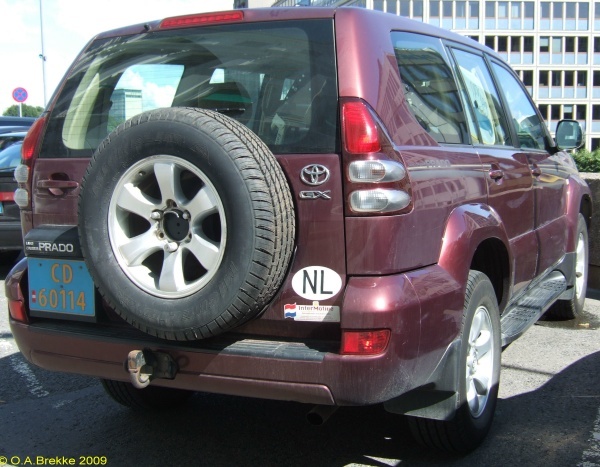 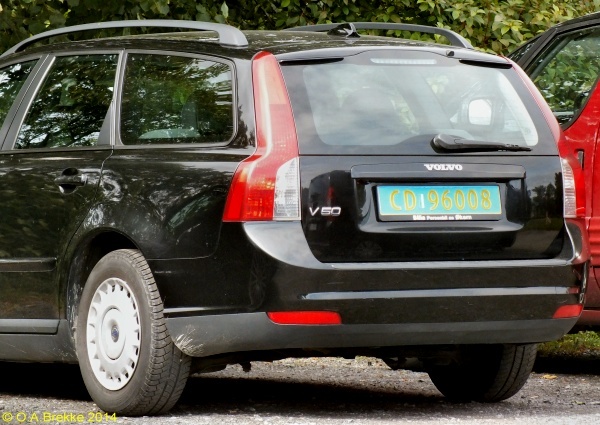 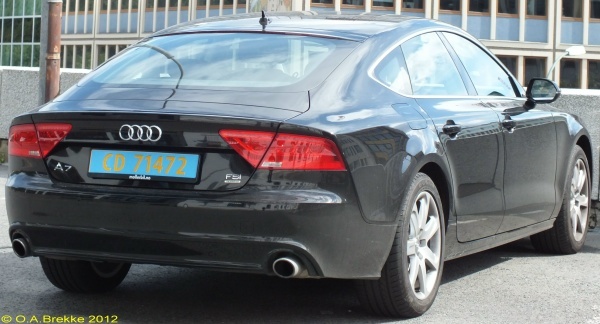 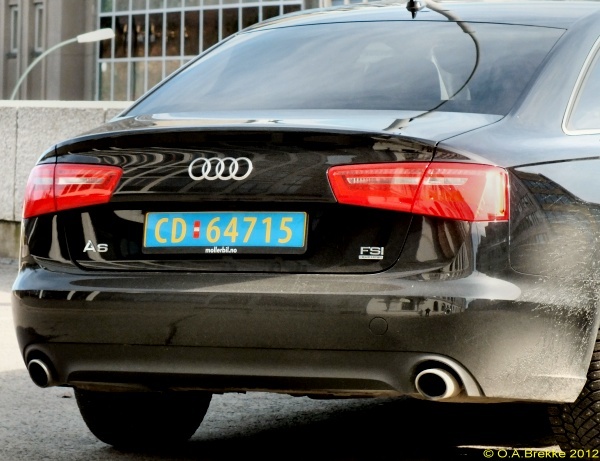 Since 2002 Israeli embassy vehicles use normal series Oslo plates, except for the ambassador's car on official occasions).